PC gamers have a clear advantage when it comes to control input over their mobile counterparts. But the line between the two platforms is growing fuzzier. And so, as mobile platforms grow, mobile games and tech manufacturers face criticism of sanctioned cheating and questions of fair play. More and more PC gamers have started to take an interest in the Android gaming scene, especially with the launch of titles such as PlayerUnknown’s Battlegrounds. As mobile games gain popularity, so too will the dedicated hardware that allows gamers a home-field advantage. We can’t promise you’ll win more games of Fortnite, but here are the best gaming mice around. Take the BlueStacks app as an example. This allows Android games to be played on a PC with a mouse and keyboard. It’s been around for some time, but MSI is reportedly releasing its very own version of the app called the MSI App Player. This is an app that, inadvertently or not, offers a distinct advantage to some members of the playerbase for mobile games. People pay good money for less advantage than that in pay-to-win titles. PUBG’s launch was when everything got pretty rough for mobile gamers. 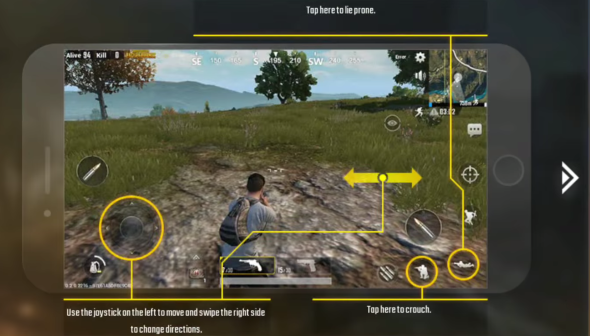 Gamers actually utilising touchscreen controls were going into matches with a significant disadvantage, and so PUBG Corporation had to take action to level the playing field back in April. Problem solved, right? No, not yet. Because mobile phones aren’t all identical. Some are better for gaming than others, and some, like the Asus ROG Phone announced at Computex 2018, are actually built for gaming. PC gamers are used to the mentality of premium gaming peripherals offering some degree of higher accuracy, responsiveness, or some other desirable trait required by 1337 gamers. But there’s a much wider gap between a mouse and keyboard and even the most accurate touchscreens on the market than there is between a gaming mouse and regular office mouse. Asus even alludes to the problem in its press release for the ROG Phone. 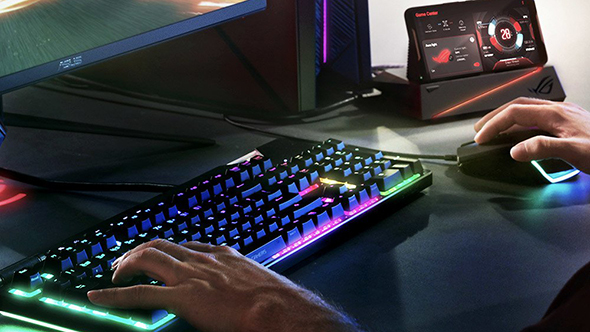 The ROG Phone comes with a mobile desktop dock, which allows a user to connect up their mouse and keyboard for a competitive advantage. Even if you don’t utilise this particular accessory, the controller dock – which resembles the Nintendo Switch – adds controller capability that, yet again, puts regular mobile gamers at a disadvantage. This is because most mobile gamers don’t have a mobile gaming machine; they have a regular phone. What can be done? Firstly, the emulator problem has solutions – similar to those rolled out with PUBG. However, in the long-term, it’s not quite as quick and easy to deal with an open platform on a wide variety of hardware. There’s always going to be gamers willing to pay for an easy way to win a competitive game. 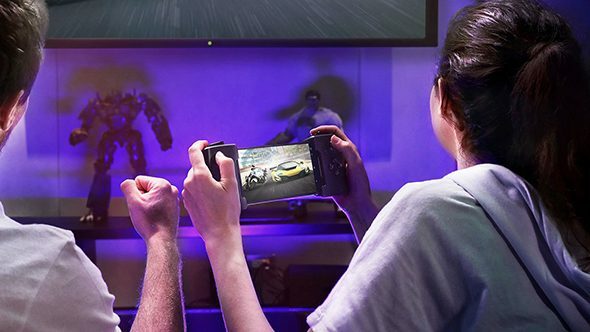 This is only limited to competitive gaming on mobile – no one’s going to be calling unfair advantage to a keyboard and mouse player in Animal Crossing Pocket Camp – but competitive titles on mobile, such as PlayerUnknown’s Battlegrounds and Fortnite (once it releases on Android), have a challenge ahead as the PC hardware mentality seeps in and big tech companies move towards giving players an advantage over their opponents at a hardware level. Of course, this does rely on anyone actually buying a ‘gaming’ mobile phone in the first place.